Love shayari for Ishq ki yaad wallpaper, hd wallpapers in hindi shayari.This shayari is said by Jigar Moradabadi one of the great shayer of Urdu shayari. Download shayari wallpaper, High Definition wallpaper and widescreen in many resolutions, mobile wallpaper also can be downloaded. 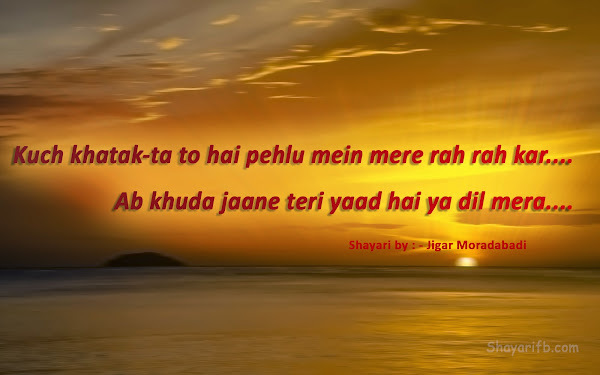 Hindi shayari, Urdu shayari on wallpapers.